Selected as Party of the Day on May 18th! A Glam little Man Baby Shower to welcome Baby Jonah. Hello beautiful event, Where did you purchase that soon to be mommy and daddy? Hi. 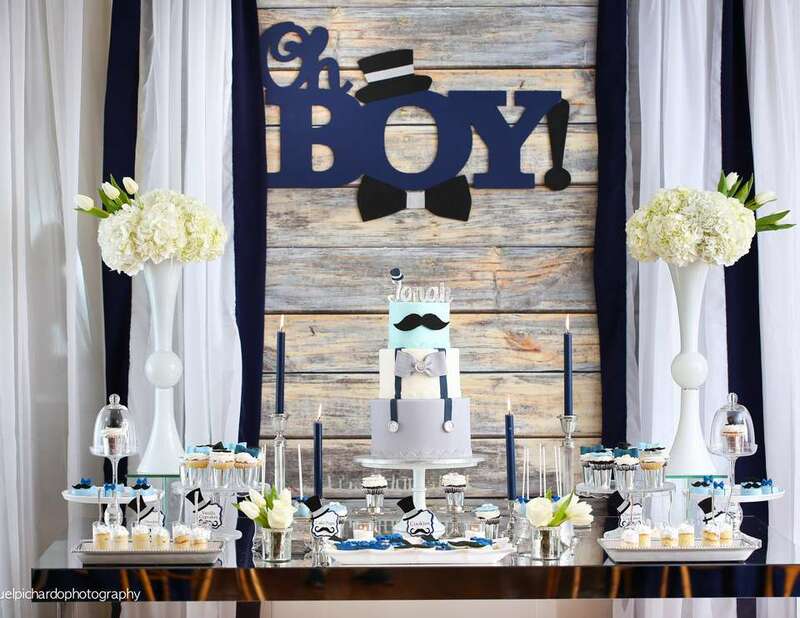 I am planning a baby shower and would like almost all the items /decorations shown. How and where can I purchase them? Also if so am I able to hire whomever did this party to do mine?? HELLO, where did you get the oh boy lettering that’s on the pallette?